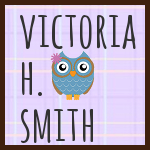 Victoria H. Smith: ONLY LOVE only $1.99! Only Love is on sale at Amazon. Hurry and get your copy as sale is available for a limited time.